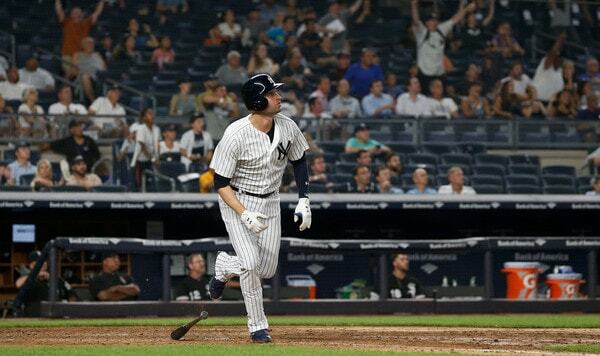 The Miami Marlins have reached an agreement with former second baseman turned utility man Neil Walker on a one-year deal worth $2MM for the upcoming season. Walker, 33, will be returning to the senior circuit where he played the first nine years of his ten year career. Best known for his time with the Pittsburgh Pirates, Walker has seen his stock drop after last seasons poor performance. Last year with the Yankees Walker hit only .219 over nearly 400 plate appearances which was his lowest batting average and at bats since his first year in the majors back in 2009. Mostly a second baseman over the course of his career, Walker saw time at every position on the diamond in the Bronx except shortstop, catcher, and center field. If you subtract last seasons numbers, Walker was a career .272 hitter and had some pop hitting a total of 130 home runs during that nine year span including two seasons that he hit 20+ home runs in 2014 and 2016. Walker also took home the NL Silver Slugger Award while playing second base in that 2014 season with the Pirates. Walker will be looking to have a bounce back season this year and return to his old form. The Marlins will be adding a veteran player in Walker that is capable of playing multiple positions as well as the added bonus of being a switch hitter. The presence of Walker on the rebuilding Marlins will be a welcome addition to an otherwise youthful roster. It would appear that Miami intends on using Walker as a left handed option at first base but he could very well see time at other positions on the field as well. If all goes well, and Walker returns to put up the numbers he has in the past, the club will have a trade chip when the trade deadline comes around that they can flip to another team for a potential prospect. This deal could work out very well for the Marlins and with it only being a one-year deal at a low rate the team really can not lose on this signing.